“We’ve transformed the culture to be more pro-business but with high standards that protect our values,” Gov. John Hickenlooper said in an interview with The Durango Herald. Gov. John Hickenlooper touted an improved view of Colorado across the nation as his biggest accomplishment in his two terms. 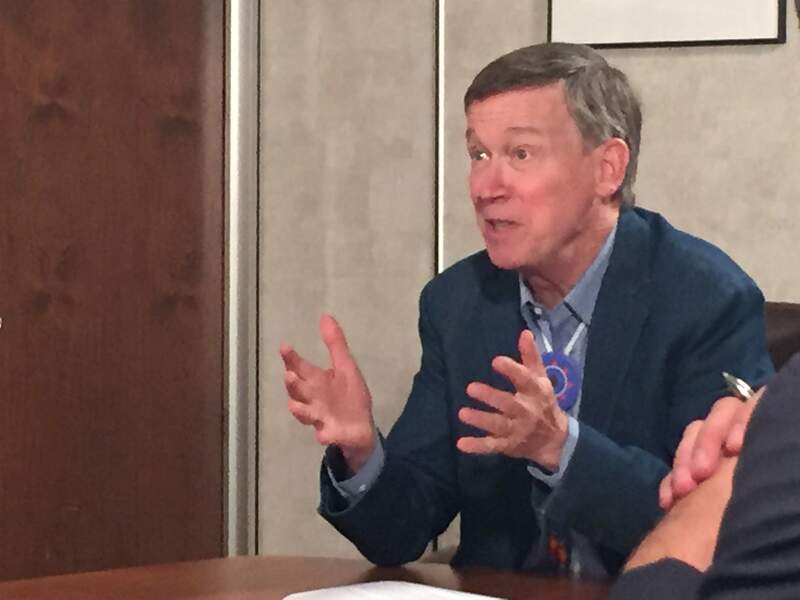 Hickenlooper, who leaves office in 83 days, met with The Durango Herald editorial board and reporters Thursday in Durango as part of what amounts to a farewell tour. 2020 electionSpeaking of the 2020 election, Hickenlooper spoke to the needs of the Democratic Party while shying away from discussing whether he would go forward with a presidential run. 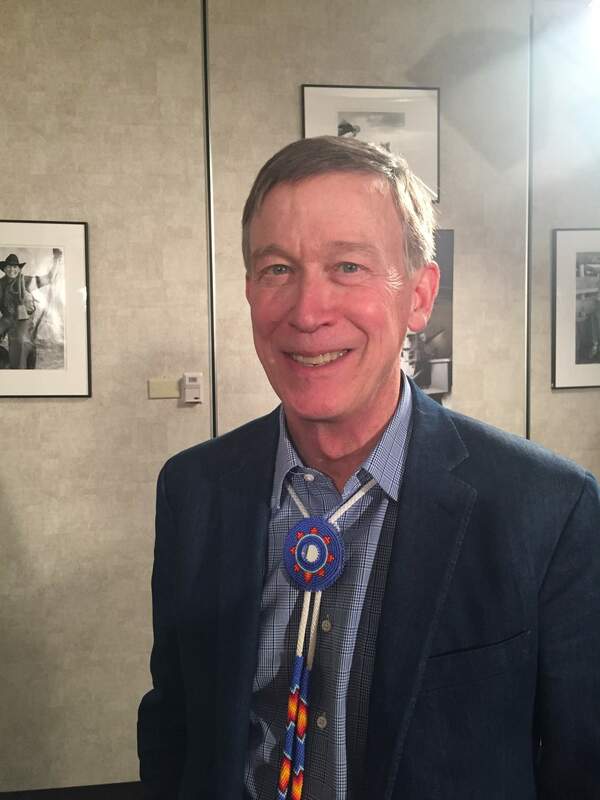 Hickenlooper has set up Giddy Up, a political action committee that will raise his profile nationwide and allow him to raise money to pay for his political travel. He said Democrats should avoid being trapped in a rhetorical argument over “single-payer” or “Medicare for all” health insurance and instead rally around the idea that a basic level of health care is a right for everyone. Hickenlooper said some form of private health insurance or government assistance through programs such as Medicare and Medicaid now reaches about 95 percent of the population. “We need to ask: How do we get to 100 percent?” he said. The Democratic Party needs to be the party that “protects the American dream,” and he said 60 percent of millennials don’t believe they will achieve the lifestyle of their parents. He added, Democrats were once the party of small-business owners, and it needs to reclaim that title. Uniting, not dividingHickenlooper said, during his two terms, prodding from the governor’s office brought together environmentalists and oil and natural gas executives, “the very essence of Hatfields and McCoys,” he said. In 14 months, the two bitter enemies agreed to regulations to tighten fugitive methane gas emissions in oil and gas fields that are now national and international models. Canada is set to adopt Colorado’s regulations “virtually word for word,” and Mexico is considering doing the same, he said. Oil and gas executives had balked at joining the meetings, Hickenlooper said, but he worked with them until the they were comfortable entering talks. Eventually, he said, the rules they came up with reduced carbon dioxide emissions in the state equal to removing 320,000 cars a year from the roads. “Is that a centrist or moderate position? Or is that a radical solution to persuade the people you most disagree with to sit down and listen to each other and to come to a solution?” he asked. No. 1 economyHickenlooper noted tightening methane emission rules occurred while USA Today and 24/7 Wall Street, a business news website, both named Colorado as the state with the best economy in the nation. The governor said he was guided in office by what he heard after he was first elected in 2010: People wanted to eliminate red tape, create a better business environment, be more open to innovation and make the state a destination for entrepreneurs. In early 2019, the VF Corp., the parent company of North Face, Timberland, Jansport and Eastpak, is moving its headquarters to Denver, bringing with it 800 jobs with an average salary approaching $180,000. Hickenlooper said he was hopeful bringing companies like VF to Denver would lure suppliers to rural Colorado, places like Durango, Ignacio, Cortez and Pagosa Springs. Rural Colorado is poised, he said, to share in the Front Range’s hot economy with enterprise zones and tax breaks in place if businesses relocate to small-town Colorado. Broadband internet should reach every town in Colorado by the end of 2022, he said. “State government can’t set up a business, but it can create the ecosystem that ensures employers and employees have the tools they need, and we can create every incentive to ensure that happens,” he said.